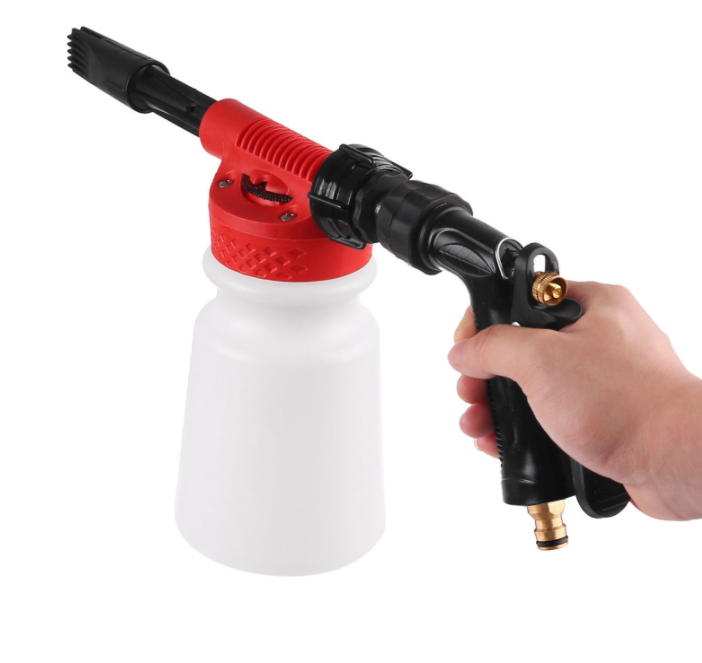 Unique foam cleaning gun, large 900ml capacity, works with most garden hose. 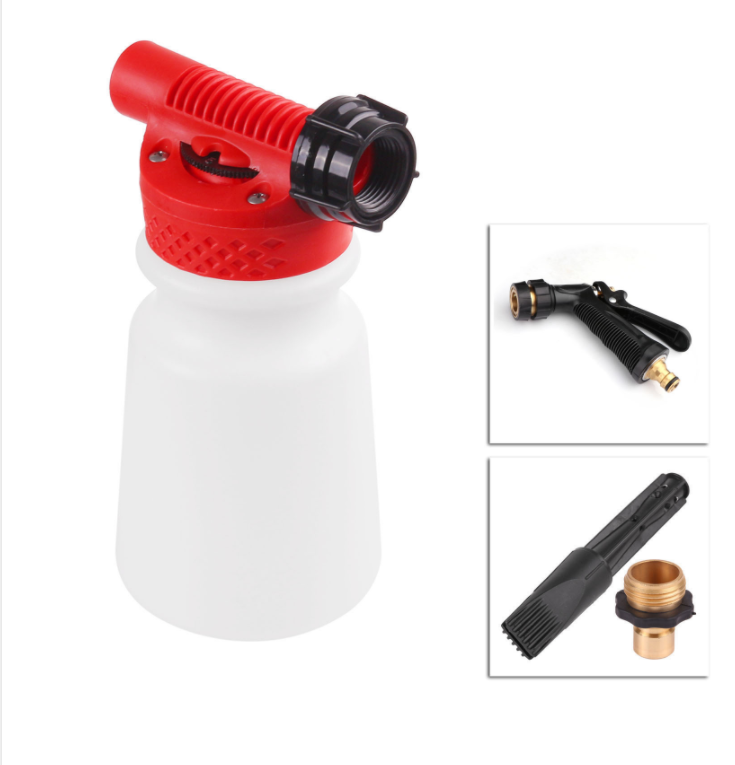 2 in 1 function, support to spray foam or spray water. Foam generating wand creates a thick, clinging foam. 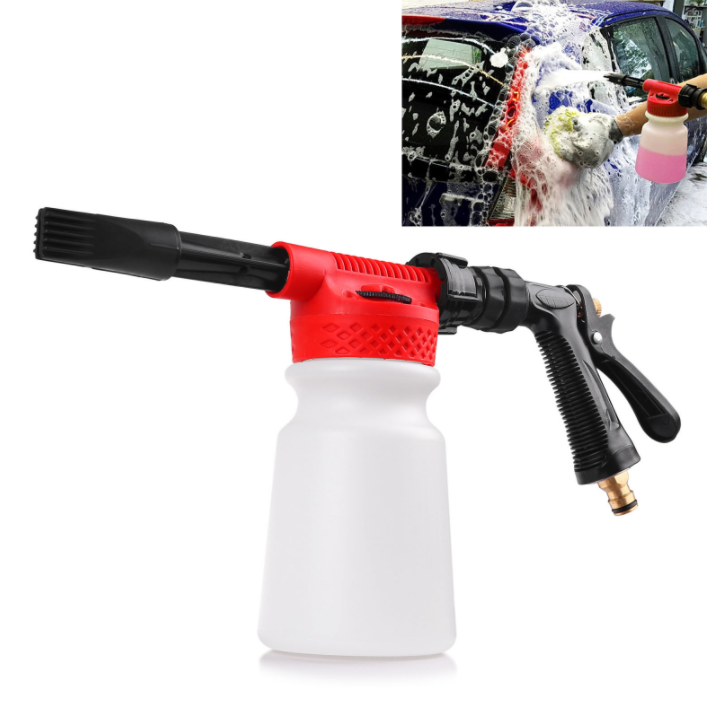 Adjustable ratio dial, accurately mixes and sprays 6 ratio of foaming chemicals. Hand grip with quick connector, easy to install. Detachable design, easy to carry and storage. 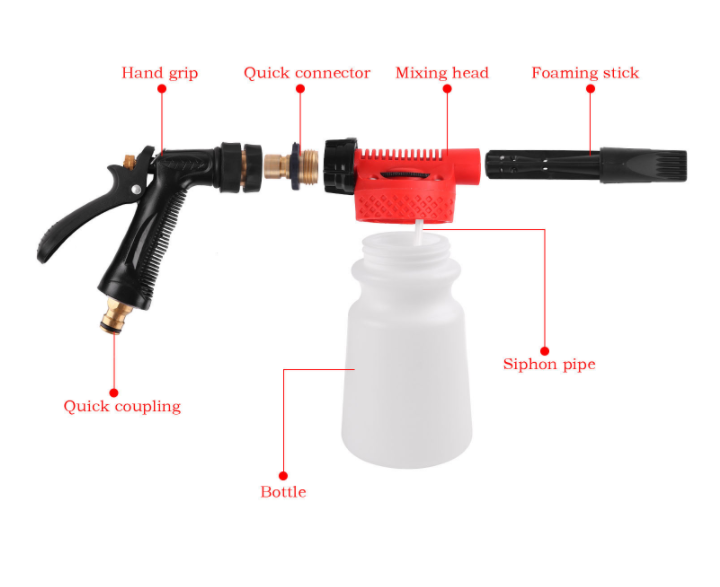 Bottle Size: 10.5*10.5*17cm / 4.1*4.1*6.7"
Install Size: 44.5*10.5*21cm / 17.5*4.1*8.3"
1.Please read the instruction manual carefully and assemble the foam gun properly. 3.Please assemble the hose kit to the water pipe of the tap and foam gun rightly. 5.Open the water faucet of the tap. 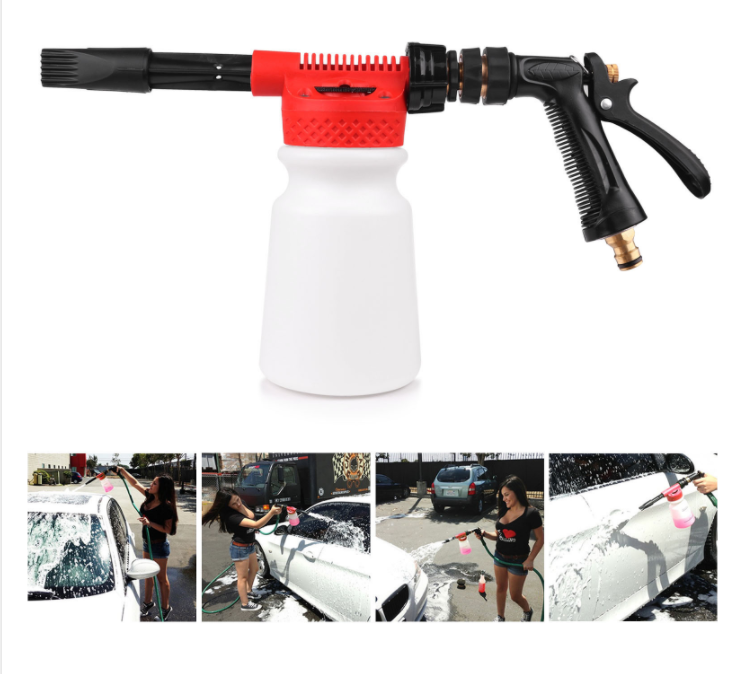 6.Hold the controlling pole of foam gun with nozzle aiming at the object and spray foam. 7.Lay it for a proper time and the offload gun and wash it. 8.Remove the dirty water with rubber cleaner and then wipe it with clean rag or scrap cotton yarn. 9.You must hold the controlling pole of gun closely and control the moisture after close the tap water faucet. Note: if there is a connector on your water pipe, you should need install another quick connector (not included in package) when use this item. 1.Joint with the tap water faucet. Please confirm the connections tight carefully to avoid any leak. 2.Please carefully confirm the connections are tight to avoid leaking. 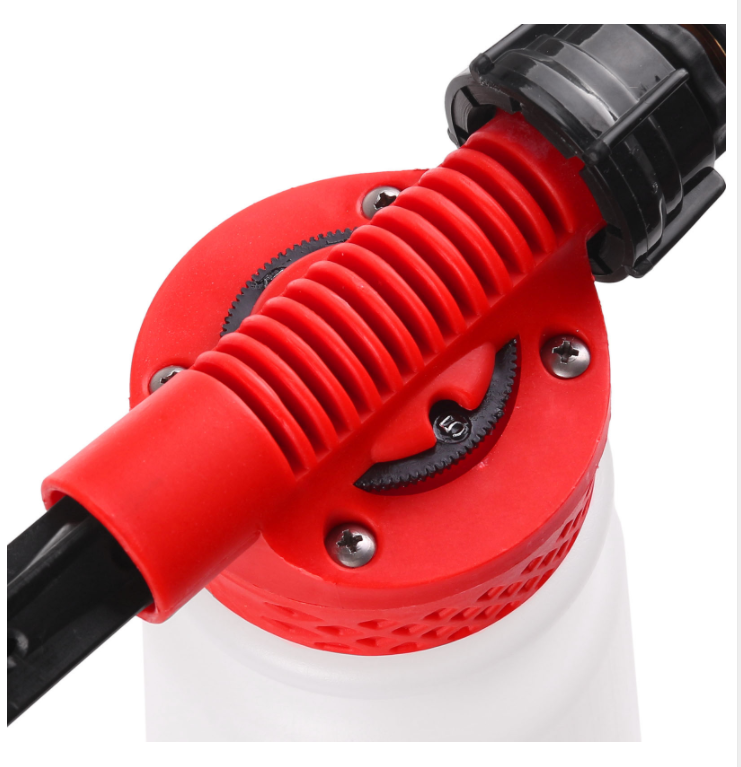 3.Please discharge the hose kit from the water faucet and foam gun when you don't use it. 4.Never mix many kinds of detergents together. 5.Please don't use it on human being. 6.It is better to wear rubber gloves and protective glasses.